Sales of alcohol in the USSR were limited in 1985 to fight drunkenness. But the anti-alcohol campaign was scrapped three years later when the Soviet economy was in trouble. Sales of alcohol in the USSR were severely limited in 1985 in a bid to fight drunkenness. But the anti-alcohol campaign was abandoned three years later when the Soviet economy was in trouble, and the government need more taxes. Dina Newman discussed the reasons for the campaign's failure with the former advisor to the Central Committee of the Communist Party, Alexander Tsipko. 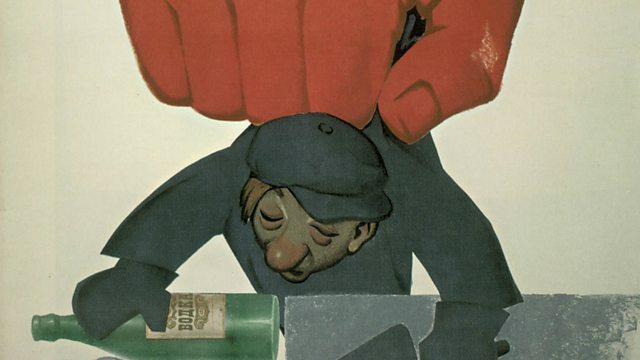 Photo: A Soviet anti-alcohol poster; Credit: Fine Art Images/Heritage Images/Getty Images.